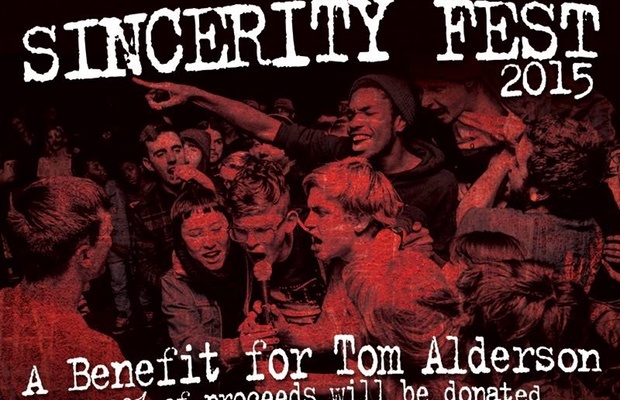 Sincerity Fest, a music festival that seeks to raise money for injured Crosscheck drummer Tom Alderson, has announced its final lineup. Highlights include Shai Hulud, Adventures, and Old Wounds. Take a look at the full lineup and flyer below. Sincerity Fest will take place on Saturday, October 10 at the Altar Bar in Pittsburgh, Pennsylvania. Tickets for the show are $10 and all proceeds will be donated to Alderson's recovery fund. If you'd like to learn more, check out the event page on Facebook.